While there’s no replacement for an on-campus visit to truly take in the energy and personality of Bullis, our website may be the next best thing. We’ve designed the site to give you a peek into what makes Bullis so special for all of us—from our home page updates of news and events around campus, to our virtual campus tour, photo galleries, videos and more. Just like life on campus at Bullis, there’s always something new going on in our website. So please click around today, and check back often. The best way, though, to really learn about Bullis is to visit us in person. 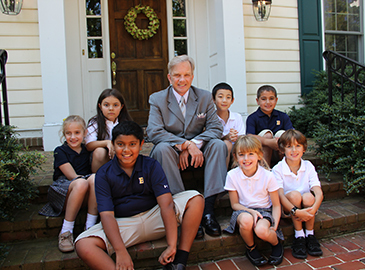 Each fall, Bullis opens its doors for an Open House and all are welcome to attend. Or, come on a school day to take one of our weekly tours. Many of our athletics and arts events are also open to the public, so check our calendar for what’s going on this week. From the youngest students to our most devoted alumni, the Bullis community welcomes you. Bio of Gerald L. Boarman, Ed.D. Bullis Head of School Gerald L. Boarman, Ed.D. 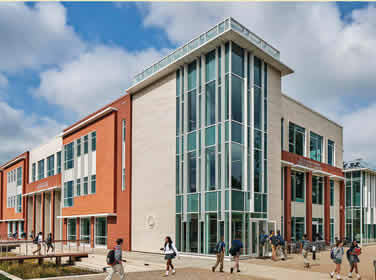 has served at Bullis since July 2010. In that time, he has spearheaded the expansion of the academic program. He has cultivated a thriving and inclusive community at Bullis while making important academic strides and strengthening the school’s challenging, caring community. Dr. Boarman developed four signature programs (in Entrepreneurship, STEM, Humanities and Global Studies, and Visual and Performing Arts), that span Lower, Middle, and Upper School. He led the adoption of a rotating class schedule in Upper and Middle School, the development of Accelerated Reading in the Lower School, and Project-Based Learning across all divisions. 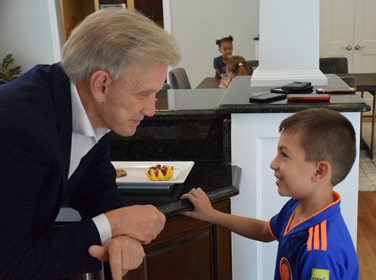 Dr. Boarman has announced that he will leave Bullis School at the completion of his current contract at the end of the 2019-20 academic year. Enrollment has also grown by more than 200 students since Dr. Boarman arrived. The campus has grown in size to 102 acres under his leadership, and numerous physical improvements have enhanced campus facilities. Bullis added a Kindergarten, and Grades 1 and 2. Dr. Boarman initiated the OnlineLearning@Bullis program. Under his leadership, the International student program has expanded in both numbers and in the complete support Bullis provides to international students. In the fall of 2017, the 70,000-square-foot Boarman Discovery Center opened to students housing advanced technology Fabrication Labs, flexible meeting, classroom, and performance space, a cafe, and other gathering spaces for the Bullis community and guests. In building gathering spaces for the community, Dr. Boarman has worked create safe spaces for students. At Bullis, there is a place for everyone. Bullis students organized the first Washington area independent school conference addressing LGBT from a student perspective. In addition to advancing academics, emphasizing equity, investing in innovation, and growing the school, Dr. Boarman has presided over a period of tremendous accomplishment in the arts and athletics at Bullis. Boys and Girls athletic teams earned more than 30 conference titles since Dr. Boarman came to Bullis. Dr. Boarman is the current president of the IAC, the very competitive athletic conference in which Bullis boys teams compete. Dr. Boarman oversaw the expansion of the Dance and Theater programs to the Lower School, student arts trips to Los Angeles and New York City for dance, Cuba for the Jazz Ensemble, and Austria and Carnegie Hall for other performances. He also founded a Lower, Middle, and Upper School Pep Band, and instituted the National Arts Honor Society for outstanding student performance in visual arts, dance, theater, and music. Above all, Dr. Boarman supported athletics and arts by expanding programs and believing in teachers and coaches who foster excellence. A lifelong educator and school leader, Dr. Boarman is committed to student-centered experience. He displays confidence in teachers, empowering them to clear the decks and create the conditions for student discovery. A visible and tireless presence around campus he models and inspires collaboration to benefit students, curriculum, and community life. Prior to Bullis, Dr. Boarman served more than 35 years in education, both as a teacher and administrator. Dr. Boarman was the Chancellor of the North Carolina School of Science and Mathematics, the nation’s first public, residential high school with a specialized curriculum in science and math. During his ten years at NCSSM, he was instrumental in growing the school’s academic program, physical campus, and enrollment. Dr. Boarman developed the school’s successful online program. 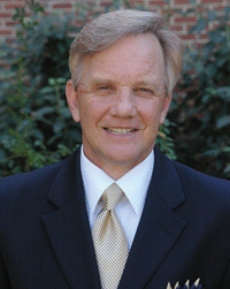 Dr. Boarman established his career in education in Prince George’s County, Maryland as a teacher and administrator. During his tenure as principal for the National Blue Ribbon Award-winning Eleanor Roosevelt High School and chief for the Eleanor Roosevelt Community of Schools in Greenbelt, Dr. Boarman received numerous awards including the Milken National Educator Award, Maryland Principal of the Year, and Distinguished Educational Leadership Award from The Washington Post. Dr. Boarman serves on the Editorial Board of DiversityIS, the diversity and inclusion publication for Independent Schools because he strongly believes in the diversity and inclusion mission.